Xanthones were first discovered and isolated in 1855 by a German scientists performing research on dysentery. Xanthones were named after the Greek word for yellow, xanthos. Xanthones are actually a yellow pigment with the highest concentrations occurring in the mangosteen fruit. 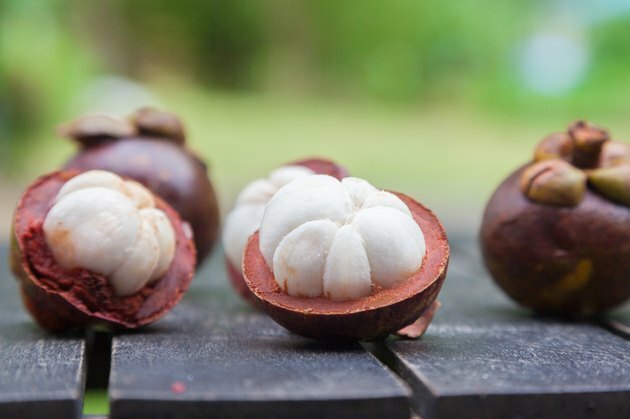 Research performed by Brunswick Laboratories in Massachusetts revealed that consumption of xanthone rich substances, such as mangosteen juice, can offer beneficial antioxidant properties. Research has shown that consumption of xanthones can offer protection against various forms of cancer. A study performed at the Gifu International Institute of Biotechnology in Japan revealed that the xanthones contained within the mangosteen fruit inhibited growth and proliferation against human leukemia cells. Additional investigation by researchers at Khon Kaen University in Thailand revealed that xanthones offered significant inhibition of growth and proliferation of malignant cells associated with cholangiocarcinoma. Cholangiocarcinoma is a malignant tumor in one of the ducts that carries bile from the liver to the small intestine. Research also suggests that consumption of xanthone rich products may offer protection for the heart muscle. A study performed by the Department of Pharmacology at Central South University in China reveals that treatment with xanthones offered prevention against the damage that could be obtained from a myocardial infarction or heart attack. When compared to an untreated group of subjects, the subjects treated with xanthones exhibited significantly improved cardiac function and markedly decreased amount of cardiac damage post myocardial infarction. Consumption of xanthone rich products can also reduce inflammation, particularly in obese individuals. A study performed at the Department of Nutrition at Mahidol University in Thailand revealed that the consumption of xanthones successfully inhibited inflammation. Another study published in the "Indian Journal of Pharmacology" revealed that xanthones exhibited anti-inflammatory properties by both oral and intravenous administration in laboratory animals. What Are the Benefits of Black Currant Tea?